Weekend Recap and a NEW Link up! 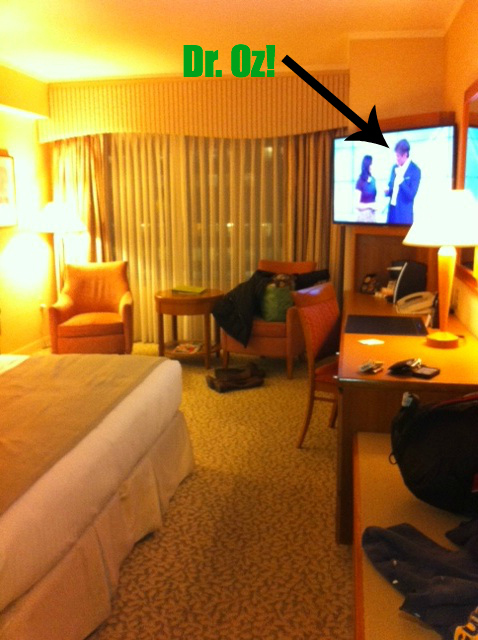 So a few weeks ago, I won a free night stay at a beautiful, Luxury Hotel in Boston (through my work). 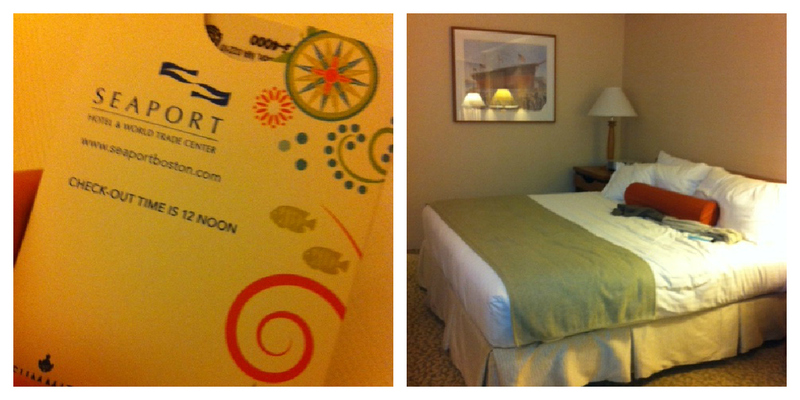 The certificate expired on Dec 1, so S and I took advantage of the opportunity to stay last Friday. 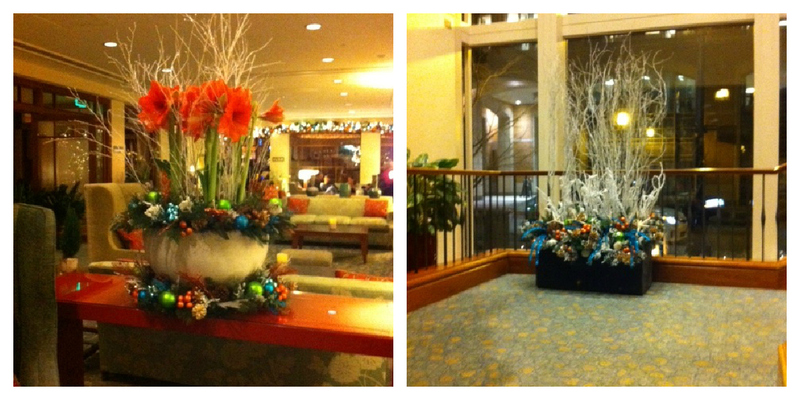 We were going to check into the hotel and head across town to a fun Holiday fest that we knew was happening, but when we walked from the parking lot to the hotel in 20 degree weather, we both agreed that a romantic night at the Hotel would be our better option! Ladies, did you know that sleeping on your side causes wrinkles!? 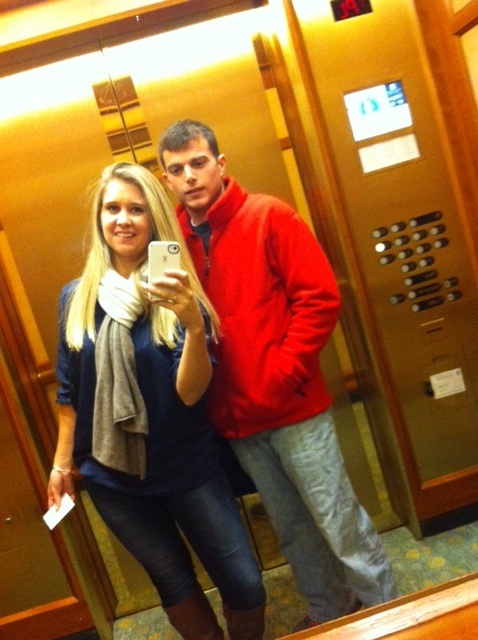 Happy to be going to dinner at the Hotel Restaurant! 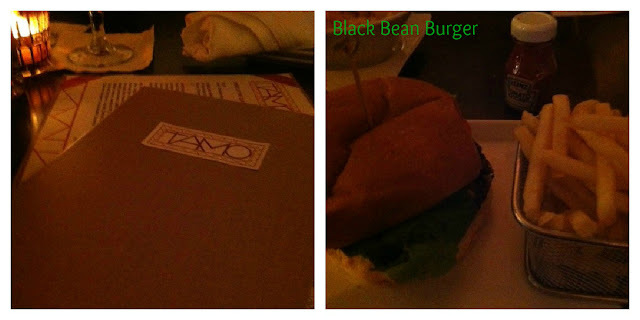 Our restaurant was called "Tamo" and our waiter later informed us that Tamo was a type of strong wood made from Japanese Ash. 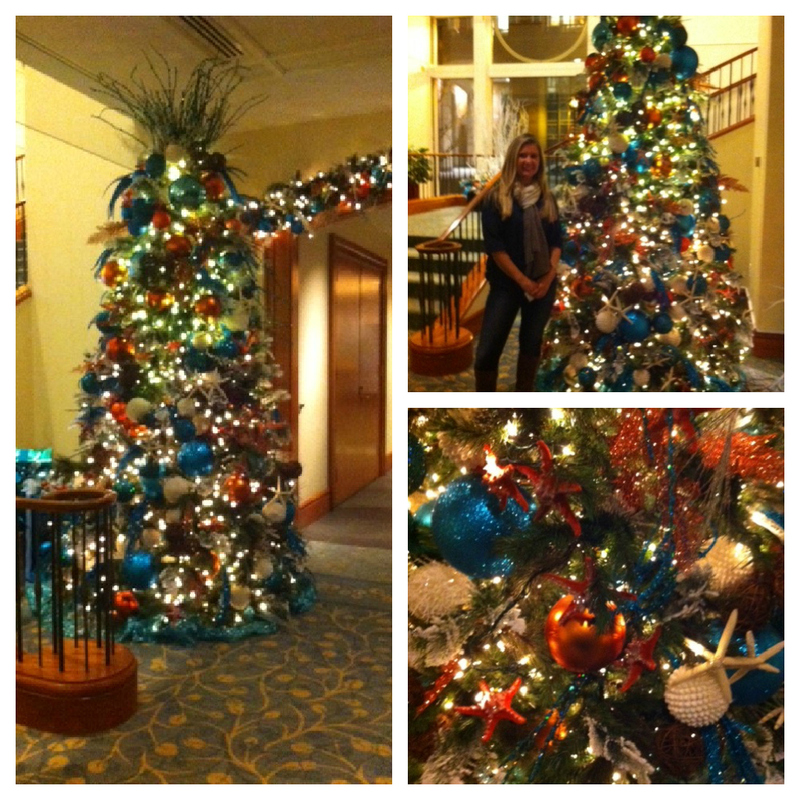 Since the Hotel is located in the "Seaport District" of Boston, it was only appropriate that the hotel was decked out from Head to Toe in a Sea-Themed Christmas Wonderland! If any of you read my blog, you would know that I was freaking out with excitement over the beautiful, Sea-themed Christmas Decor! We were pleased to awake to the first snow fall of the Season from our Luxury Hotel room! After enjoying the view and spending a ridiculous $65 on in-room dining, we decided that it was time to peace out and head home for the day. Does it make me an old lady that I think the other choices are too rich? 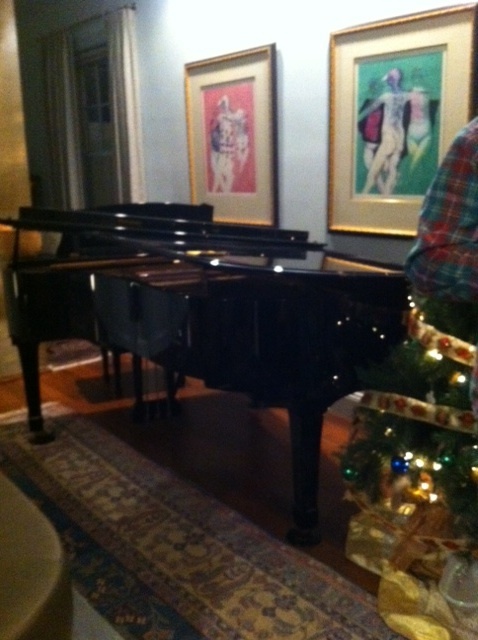 Saturday Evening, Steve and I headed to his boss' house for a work Christmas party. Lesson Learned this weekend Ladies: "It's always better to feel overdressed than underdressed!" 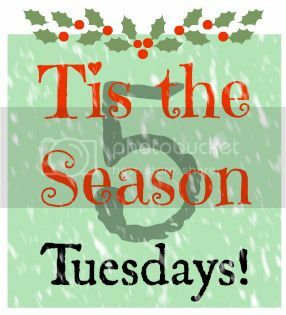 So grab a button and join in on the fun, every Tuesday until December 25! Tomorrow we will be sharing our top 5 Christmas Movies! Sleeping on your side causes wrinkles??? CRAP. 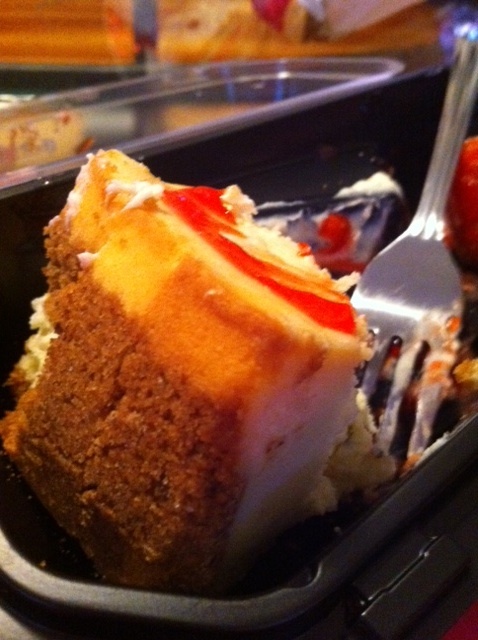 Also that cheesecake looks delicious right now and it's not even 8am! I love doing last minute getaways for romantic nights with the boyfriend, so I am sure you had a lot of fun! Love your blog hun and I would love it even more if we followed eachother. Both our blogs Kinda have the same beachy feel. Wow - 20 degrees! I have to say I'm jealous it's 84 degrees in TX and it's hard to get into the holiday spirit with the warm temps!